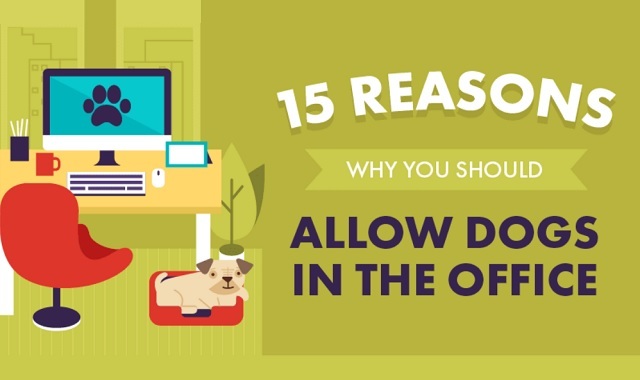 15 Reasons Why You Should Allow Dogs in the Office #infographic ~ Visualistan '+g+"
This infographic highlights 15 great reasons why you should take your dog to work. Backed up by research, you’ll be ready to talk your boss into making the office a pooch-friendly environment. A dog isn’t just for home time. Take them to work, and both of you will enjoy a more fulfilling day!